Under the leadership and guidance of Ms. Julie Noble, students enrolled in College and Career Exploration visited Miami University on Thursday, December 7, 2017. College and Career Exploration was originally designed to give ninth and tenth grade students a "head start" on more informed decision-making regarding college and career. During the first marking period, students explored various career fields based on individual interests. Additional topics included workplace expectations, interview processes, preparing resumes, etc. Currently, students in the second marking period have focused on college searches, study skills, and preparation strategies for entrance exams. 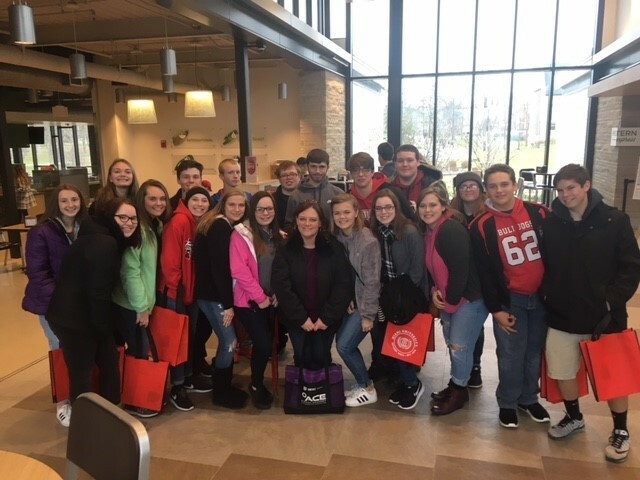 The campus visit on Thursday was part of this process, and our kids were even able to spend time with with a former graduate now attending Miami University. Nothing like first-hand guidance on the subject of college and career readiness from a fellow Bulldog!